What do you do when you feel absolutely unmotivated especially when you have so much to do? I try to find excting things to do but the stuff waiting for me makes me feel bad and guilty. My present cause of unmotivation comes from some revival work on some clothes, I have done and returned the easy clothes and what I am left with is the difficult and complicated stuff and though I'm dying to sew the thought of those unfinshed clothes puts me off my machine. When I feel this way I usually try to sew something really because the finished product (if itturns out well) will be very motivating. 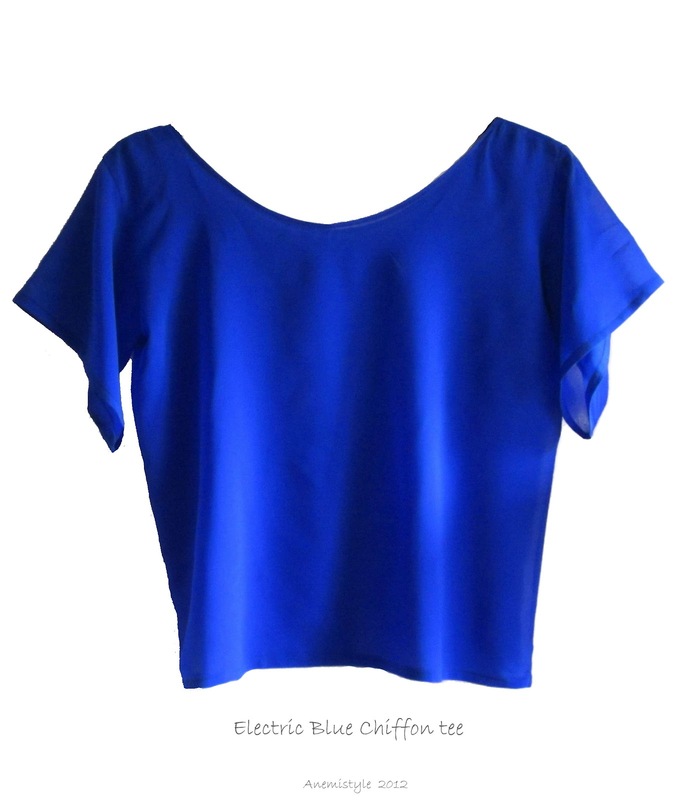 The last time I felt this was was about 2 weeks ago and I decided to make a top from a very blue chiffon fabric I had lying around and the result was pretty amazing and motivating. Aaaaaaaaaah how to beat this! !